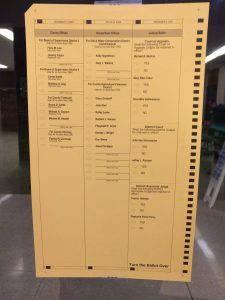 The front side sample to what the ballot looked like on election night. The backside sample ballot to what voters will see on their ballot. 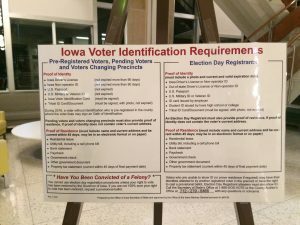 The sign voters see when they first walk in to vote in the midterm election, Iowa’s Voter ID Requirements. 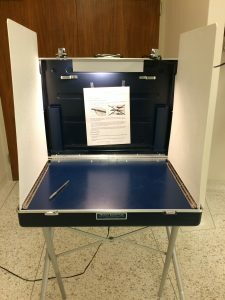 The voting booth with a sign that is too out of date for voters to make their votes. 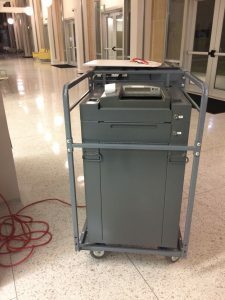 Voters put their ballots into the ballot box collector, and it counts their vote. 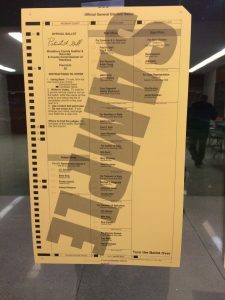 If there’s a mistake on the ballot, the machine rejects the ballot.